Super Insulation is a way to reduce the transfer of heat into the house( during summers) or loss of heat to the outside of the house( during winters). It will insulate the building envelope is a way to minimize the consumption of electricity.Thereby helping to achieve the Net Zero Energy or Net Zero Carbon emission character of the house. In a Terrace housesituation,Super insulation can be achieve easily as the roof has to be insulated and the walls need no insulation. The cost of insulating the roof is relatively cheap. In a Semi Detached home( duplex unit) the a little more difficult as the sides of the house are exposed to the sum. Insulation of the roof does not cost but insulation of the walls can be done by smart landscaping. 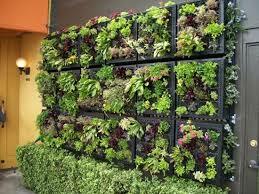 Landscaping with vertical green walls will help to stop heat from heating up the walls. Trees may be planted to act as an insulting barrier wall from the sun.The esposed sides of the wall can be planted with a row of trees. The insulation of the home may be costlier as the sides of the setting sun and the roof has to be insulated with heat. Either the wall is constructed with materials of good Thermal Resistance or the walls can be insulated with landscaping or planted with green walls.